South Korea's factory utilization rate has fallen to the lowest level since the Asian financial crisis fueling concerns that the economy is showing signs of slowing down, observers said Sunday. 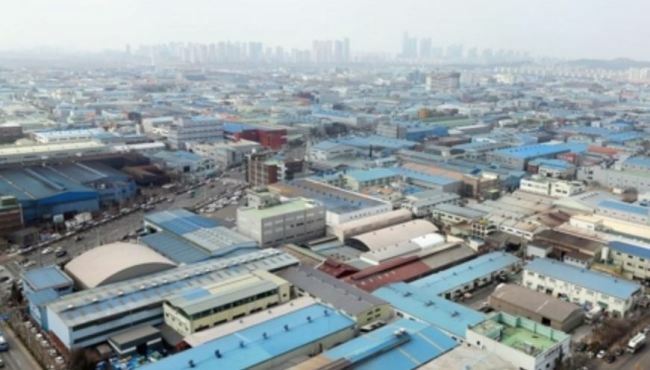 Data by Statistics Korea showed the average capacity utilization ratio of factories standing at 72.8 percent in the January-September period, the lowest reading since the 66.8 percent tallied in 1998 as the country was reeling from the economic meltdown that affected many Asian countries in the previous year. This year's ratio is effectively unchanged from 2017, marking the second year in a row that factories were operating at reduced capacity. The number is a key barometer of manufacturing output and directly impacts the economic health of countries that depend heavily on the production of goods to generate growth, such as South Korea. The statistical agency said that while the operational rate dropped off in 1997 and 1998, the reading generally stayed around the 100 percent mark until 2015, with the exception of 2009. Industry watchers said that depressed numbers are causing worries because there has been a dip in overall production capacity as a result of broad restructuring efforts. "Such restructuring should have resulted in some kind of a rebound in the factory utilization rate, but it has not," an observer said. Reflecting this, the country's manufacturing production capacity index backtracked 0.9 percent in the first nine months of the year. This is the first time the reading has headed south since Seoul started compiling such data in 1971. Economists said the drop can be attributed to the reduced facility investments that had been falling for six straight months this year, although they made a comeback in September. Compared with last year, business investment has contracted by some 20 percent, with the country's manufacturing sector output up till Sept. 30, decreasing 1.5 percent vis-a-vis the same period in 2017. The contractions are the sharpest since the 5.6 percent fall in 2009, when the country like others struggled with the fallout of the global financial crisis.